Please read through our help guides below carefully. Keeping in line with SEQTA's latest security measures for login information to our Engage Portal, we can no longer tell you your password or reset it for you. If you cannot remember your password, please follow the guide below on how to reset your password. Are you new to St Simon Peter? 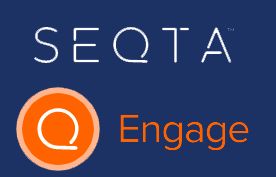 You will receive an email towards the end of term 2 or 4 asking you to setup your SEQTA Engage account. Enter the username and password you choose during this account setup to login to our Parent Portal. Please click the links below for the parent guide relevant to your requirements. The link to SEQTA Engage on this page is specific to SSP. Usernames and passwords received from other schools utilising the SEQTA Engage functionality will not work and vice-versa. Please save your username and password in a safe and retrievable location. Please download and save a copy of your child/children's semester reports from SEQTA Engage. After your child/children leave SSP, their report data will no longer be available online.